All advice relating to Brexit is subject to change! Simply put, a Green Card is a physical document (printed on green paper) that proves that your insurance provides the minimum level of cover for the country you’re driving in. It will be needed in the EEA as well as Andorra, Serbia and Switzerland. If there is no deal, a Green Card will be needed for each and every vehicle travelling in the EEA after 29 March 2019* to prove that they have the required insurance, regardless of the level of motor cover provided on their policy. This applies even if your motor policy has a ‘foreign use’ extension. A Green Card will be needed even driving from Northern Ireland to Ireland. If you’re travelling with a trailer, then any commercial trailer weighing over 750kg must be registered before towing abroad from 28 March 2019. A separately registered trailer will require a Green Card. All trailers over 3,500kg must also be registered. It’s worth noting that if your travel plans have you back in the UK before 29 March 2019* then you won’t need one. What happens if I drive in the EEA without a Green Card after a no deal Brexit? If you decide to do this, then it is highly likely you will not be allowed to cross the border, or gain access onto a ferry. If, however, this doesn’t happen and you are allowed to travel and are then subsequently stopped and held at the roadside because you have not travelled with the correct paperwork, you could be fined and have your vehicle impounded. Be aware that there is usually not cover on motor policies to pay fines and release fees if a vehicle is impounded. A legally agreeable alternative would be to purchase insurance locally when you arrive in the country – this is often known as ‘frontier insurance’. However, such insurance cover may not be widely available and may be more expensive than UK issued policies. Can I print my Green Card out at home? Your insurer, or insurance broker, will provide you with a hard copy on green paper. Electronic versions won’t be accepted, neither will documents with a white border or where the green has been printed onto white paper – this will be seen as a forgery and not accepted (potentially causing the same issues as above). What if I lose my Green Card while I’m away? You can be sent an electronic version as a pdf document, however, as noted above, it must be printed on green paper to be accepted by the local authorities. How long will it take to get my green card? You have to proactively ask for your Green Card from your insurance broker (or directly from your insurer if you don’t have a broker to help you) as they will not be automatically issued. It will take a few days to process so please plan ahead. How long to Green Cards last? Regulations deem that all Green Cards are valid for at least 15 days from their effective date, but they do not specify a maximum period. Will my driving licence be valid to drive in the EU after Brexit? 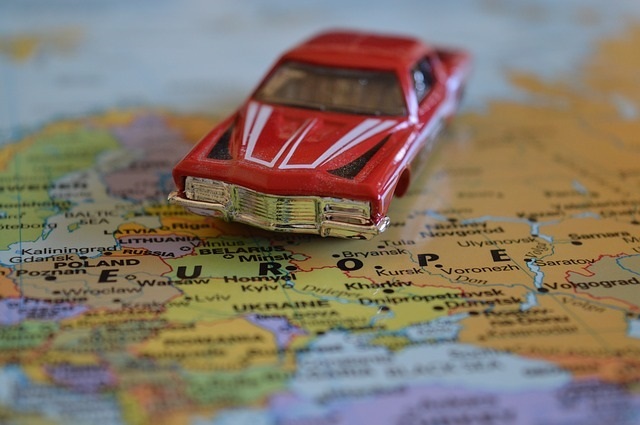 A no-deal scenario could require UK nationals to possess an International Driving Permit (IDP) in order to continue their car travels – to be used in conjunction with your UK driving licence – whether driving your own car or renting. It is important to note there are two types of IDP and which one you need will depend upon which country you’re driving in! For more guidance on IDPs, click here for Government guidelines. If you will be driving in the Republic of Ireland, you shouldn’t need an IDP if you hold a UK driving licence as Ireland does not currently require IDPs to be held by driving licences holders from non-EU countries. If you need help understanding whether you need a Green Card, then get in touch with the team for help. *this advice is correct at time of going to press but is subject to change!